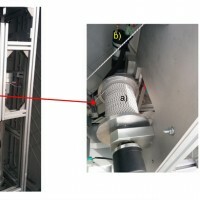 An innovative robotized inclinometer system for inclinometer measurements to evaluate deep-seated ground deformations in standard boreholes. Our AIS (Automated Inclinometer System) allows for fully automatic inclinometer measurements in standard boreholes. The deep measurements have multiple applications, including (i) evaluating the rate of deep-seated ground deformation in landslide areas, (ii) evaluating the volume of deep-seated landslides, and (ii) assessing landslide hazards. The AIS is composed of an electronic control manager, an inclinometer probe (with traditional accelerometers, or MEMS), and an electric motor equipped with a high precision encoder for handling and continuous control of the probe in the borehole. The probe is automatically lowered into the borehole and traced to make measurements at predetermined elevations. The measurements are stored in an intelligent electronic system in the probe. 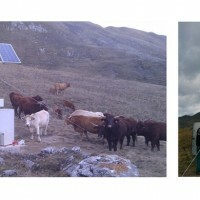 At the end of the measuring phase, using a wireless connection the data are transmitted to a central unit at the top of the borehole. This units processes the data, and transmits the results to a remote computer for near-real time monitoring and further analysis. As for manual systems, the AIS can make inclinometric measurements using a single guide (0°) or two opposing guides (0°, 180°). The latter provides higher quality measurements. Use of an electronic microsystem connected directly to the probe allowed eliminating cables for signal transmission to the processing system, on the surface. The AIS uses only a small synthetic fiber cable (Dyneema®, Ø25 mm) to support the probe and a micro-motor to the probe move up and down. Due to the small size and low power consumption, the AIS can be powered by solar panels. The AIS was originally designed for monitoring landslides, but has applications for the deep monitoring of retaining structures, diaphragms, tunneling, and excavation and construction sites. Thanks to the accurate electronic control of the probe in the borehole, our Automated Inclinometer System (AIS) is able to perform measurements with a high repeatability and with a revisit time (number of measures per day) that cannot be matched by a human operator. 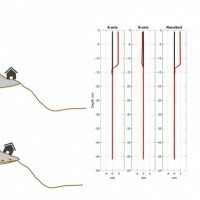 These characteristics allow to follow very accurately the evolution of deep-seated landslides, and to obtain valuable information to investigate the relationships between landslide movements and the natural or human induced triggers (e.g., rainfall, snow melt, earthquakes, excavation works). Unlike other fixed systems (e.g., in-place inclinometers) used for continuous monitoring of displacements in deep boreholes, the AIS allows to perform measurements along the entire length of the borehole, avoiding losing the probe in case of large deformations. The AIS can be rapidly moved from one borehole to another, also of different lengths, without changes in the equipment or additional costs. We tested the AIS in multiple sites in Italy and Spain. Results have confirmed the potential of the instrument and the quality of the measurements. Lollino G, Arattano M, Allasia P, Giordan D. 2006. Time response of a landslide to meteorological events. Natural Hazards and Earth System Sciences 6, 179–184. DOI: 10.5194/nhess-6-179-2006. Lollino G, Arattano M, Cuccureddu M. 2002. 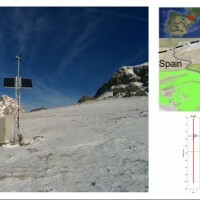 The use of the Automatic Inclinometric System (AIS) for landslide early warning: the case of Cabella Ligure (North -Western Italy). Physics and Chemistry of the Earth 27, 1545-1550. DOI: 10.1016/S1474-7065(02)00175-4.